This multi-function hair processor is easy, versatile and convenient. With just the touch of a button, the Belmaster can improve coloring, bleaching, perming or highlighting processes and control damage. Beautiful results are achieved time after time through the innovative use of replenishing steam heat. 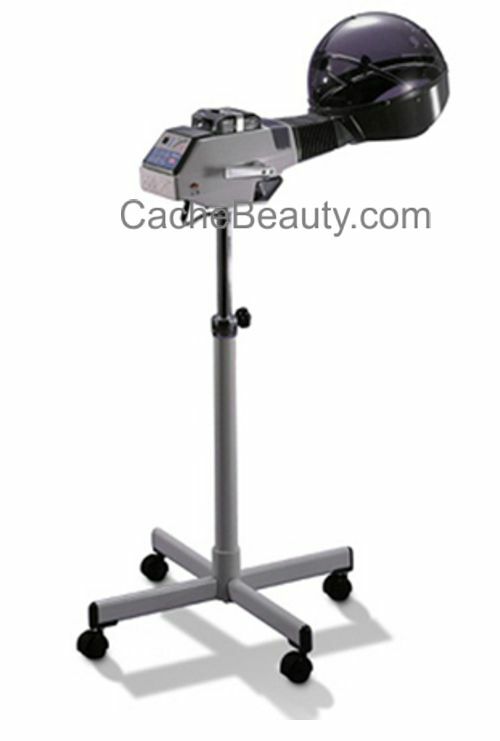 The Belmaster multi-function hair color processor is on a stand with casters for mobility and convenience. Nourishing water particles provide an efficient coloring and deep conditioning process. Since this hair color processor will be shipped direct from Belmont, Belmont will collect state sales tax in states they have a presence in. If this is the case, we will contact you before shipping to confirm total cost.